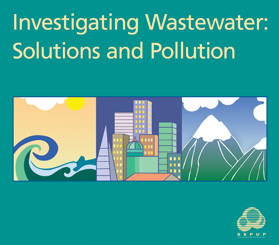 Investigating Wastewater: Solutions and Pollution is a SEPUP module designed for use in grades 7–12. The module contains a series of 10 activities that provide approximately 3 weeks of instruction. This module focuses on concepts such as solubility, precipitation, acids, and bases. Students are introduced to a scenario involving wastewater disposal into a local lake. They make mixtures, investigate solutions, and neutralize acids and bases. They begin to identify the properties of water that make it such a useful solvent. Students then design and test a plan to treat acidic wastewater. They are assessed on their ability to design and conduct investigations.